The first trailer for writer/director Dee Rees' (Pariah) adaptation of Hillary Jordan's novel, Mudbound, has premiered after receiving rave reviews out of Sundance earlier this year and being acquired by Netflix soon after. While this was another film I was hoping to see at TIFF this year on the big screen given the impression it's already made on the festival circuit, but there is comfort in knowing that with the film being acquired by a streaming service that those of us in smaller markets, such as myself, will in fact actually have the chance to screen it within a relevant amount of time of its release date whereas were this being distributed through a smaller company such as Fox Searchlight or A24 I might not have the chance to see the film until later in December (when everything comes out) or possibly even January. While the idea of not being able to see what has been called a, "sweeping and thrillingly ambitious," piece of work on the biggest screen possible is certainly discouraging I will count my lucky stars that I'll be able to see it at all as the studios release so many films around awards season that, even if Mudbound received theatrical distribution, odds are it would have never opened in my neck of the woods. That's enough about where/when/how the movie will open, but more let us bask in this first glimpse of the film as it paints a harrowing picture around two men who return home from World War II to work on a farm in rural Mississippi, where they struggle to deal with racism and adjusting to life after the war. Both Garrett Hedlund and Jason Mitchell have been hailed for their turns as these two former soldiers and while the trailer certainly plays up the bond that seems to inherently form between the two of them what is more breathtaking is the breadth of the scope Rees seems to have captured with her camera. There are certain shots that hint at terrible things, tense situations, and others that suggest where the narrative might go which isn't necessarily to places audiences would like to see it go. In short, this thing looks to be a profound experience and while I'm still hopeful the film may open in a select few theaters near me I'll continue to be thankful I get to see the film as soon as I'm able come its opening day. 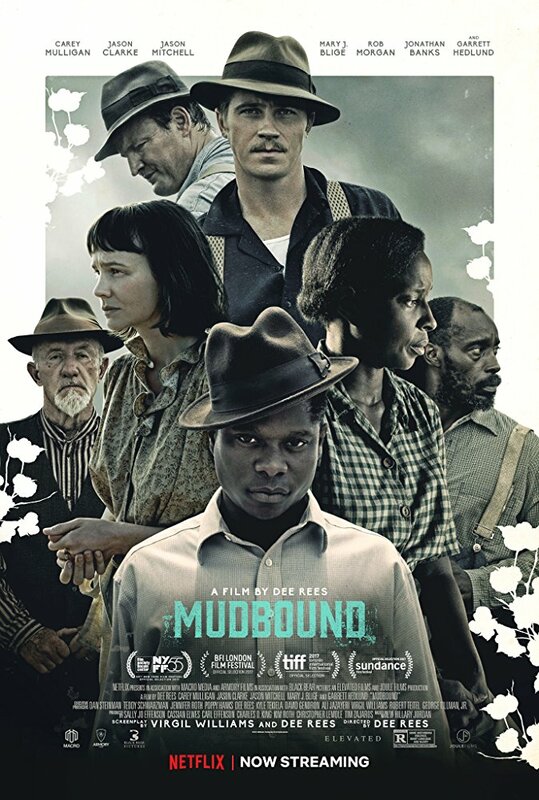 Mudbound also stars Carey Mulligan, Jason Clarke, Jonathan Banks, Mary J. Blige, and begins streaming on Netflix and playing in select theaters on November 17th, 2017. Synopsis: Laura McAllan is trying to raise her children on her husband's Mississippi Delta farm, a place she finds foreign and frightening. In the midst of the family's struggles, two young men return from the war to work the land. Jamie McAllan, Laura's brother-in-law, is everything her husband is not - charming and handsome, but he is haunted by his memories of combat. Ronsel Jackson, eldest son of the black sharecroppers who live on the McAllan farm, now battles the prejudice in the Jim Crow South.